These days, we're constantly being told to clear out the clutter. However, it seems there's a lot to be said for shoving your old rubbish to the back of a cupboard instead. According to LoveAntiques.com, the old VHS tapes gathering dust in your attic could be worth a fortune. The most valuable tapes, it has to be said, aren't the battered copies of Peppa Pig or Four Weddings and a Funeral that most of us have kicking around. "The most valuable VHS tapes are the ones deemed as one-offs, released in small batches within the 'video nasties' category and on micro-budget labels such as Knockout and Trytel," says the firm. "Avoid common mainstream titles that were released on labels such as Cinema Club and 4Front, because these would have been mass produced and are worth next to nothing. Aim for films that have never been released on DVD or Blu-ray and are original ex-rentals." Accordingly, the most valuable DVD in the world is Frankenstein's Castle of Freaks, a 1974 Italian horror film, at £1,500. 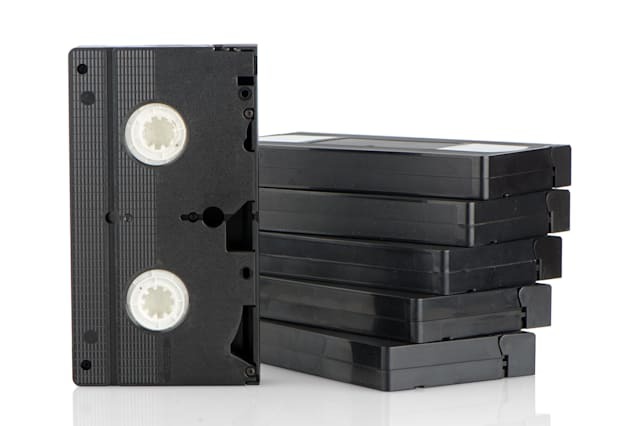 Old VHS tapes fall under the increasingly popular category of 'antech', or antique technology, covering post-1970s products that are no longer made. Other examples include the earliest computers, with a working Apple 1 computer selling for a whopping $905,000 in 2014. Retro games consoles can be worth a fortune, and even the games themselves can command prices of hundreds of pounds. If you think you've got anything valuable, your best bet is to start by looking on eBay, to get an idea of what it's likely to be worth. Depending on the likely value, you could either sell it there yourself, or contact a specialist dealer.